The Ultimate Fighting Championship will be taking its talents back to London in March. 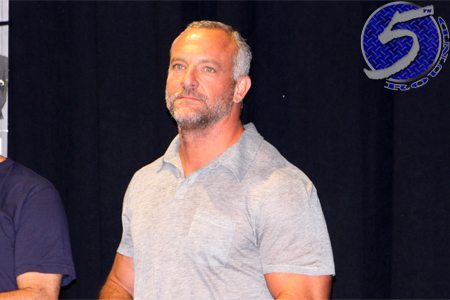 UFC co-owner Lorenzo Fertitta (pictured) announced the planet’s premier mixed martial arts promotion will launch a “European Tour” in hopes of spotting their next superstars. The UFC’s six-event Fight Night tour will hit most major European cities. The UFC most recently hosted a card in London this past February inside Wembley Arena. Fertitta didn’t reveal an exact date or venue for their March show. The UFC makes its long-awaited return to Manchester later this month at Phones 4u Arena with a critical middleweight bout between Mark Munoz and Lyoto Machida.